Especially in rainy and foggy weather, solar LED warning signage can give drivers and pedestrians potent warning to ensure traffic safety. 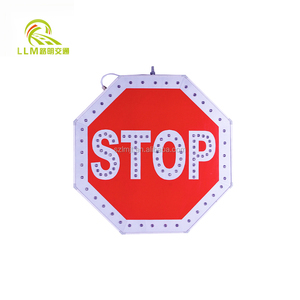 Parameters: Item number TYNBZP-07 OEM & ODM Yes Material Aluminum alloy Type Solar traffic signs Size 600 * 600(mm), 600*800mm, 800*800mm etc. Q: How can I get a sample9 What&rsquo;s the sample fee9 How long can I get it9 A: Customer need to prepaid the sample fee , we will refund the sample fee when place bulk order. Application of 4MM Aluminum alloy sheet and Anti-UV engineering plastics protect the signs from destroyed outside. 5 . focus on studying, producing and saling automatic equipment on the vehicle and security domain . Electric motor can&rsquo;t reverse Check the power wire, make sure negative pole and positive pole in the right position. 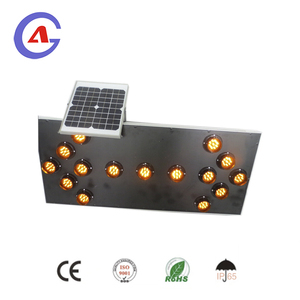 Nanjing Saikang Traffic Safety Technology Stock Co., Ltd.
Anhui Angran Energy Conservation & Environment Protection Technology Co., Ltd. 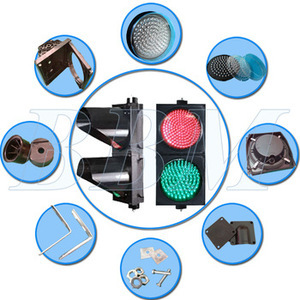 LED arrow indicator Portable Traffic Signal Brief introduction LED solar traffic sign is an environmental protection traffic signage, Adopt unique aluminum alloy board and solar board combined together, with the features that LED light luminous long distance, active luminous, combined with reflective film passive luminous, it make text and images with a reflective film also with LED warning light transmit to us, strengthen the warning effect in day and night. Especially in rainy and foggy weather, solar LED warning signage can give drivers and pedestrians potent warning to ensure traffic safety. Flagship brands "LM", "LLM", Products are widely used in lots of highways, highway bridge and urban roads in native and abroad, it is selected as high quality products to many customers, with a good public praise over years, certifications and test reports all in readiness. 2, We have: Professional sales team, technicians, QC, and designer. 4, We quote: The most competitive price according to your market. 6, We give: Profe s sional suggestion and technical assi s tance . Hangzhou Lailai Technology Co., Ltd.
Hangzhou Ausign Traffic & Safety Facility Co., Ltd.
Jiangsu SDDH Traffic & Safety Facility Co., Ltd. Meanwhile, we also set our mind upon after-sale services to give customers a good purchase experience. 3.Good delivery time and find for best freight for client's reference. Q: Can you provide customized goods 9 A: Yes, we can produce products depending on any client's requirement. 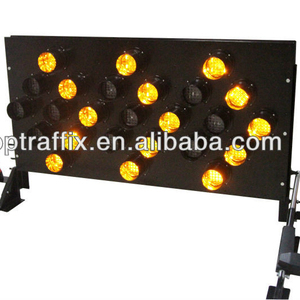 Application of plate Aluminum panel / steel plate Purpose For road safety 3. Aluminum Panel Name Aluminum panel Thickness About 1-3mm Size (W*L) 1000*1500mm, 1500*2000mm and etc. 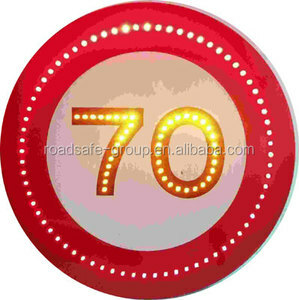 , LTD is a reputable and reliable manufacturer specialized in road signs and other road safety products for many years. Our road signs have been exported to Middle & South America, Middle East, East Europe, Southeast Asia, Africa and etc. 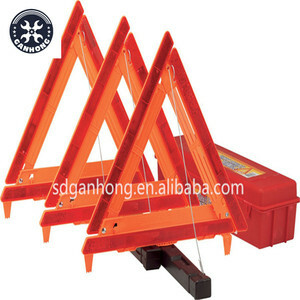 Alibaba.com offers 1,633 safety signs signals products. About 14% of these are traffic light, 1% are other roadway products, and 1% are auto lighting system. 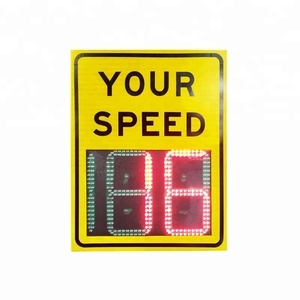 A wide variety of safety signs signals options are available to you, such as aluminum, round. You can also choose from free samples, paid samples. There are 1,628 safety signs signals suppliers, mainly located in Asia. The top supplying countries are China (Mainland), Taiwan, and South Korea, which supply 98%, 1%, and 1% of safety signs signals respectively. 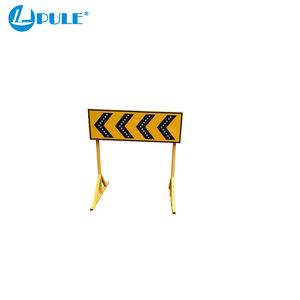 Safety signs signals products are most popular in North America, Domestic Market, and Western Europe. You can ensure product safety by selecting from certified suppliers, including 507 with ISO9001, 181 with Other, and 123 with ISO14001 certification.